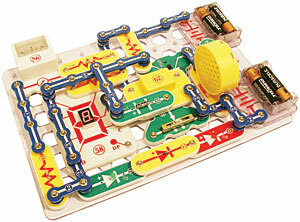 Snap Circuits SC500R – Perfect for the Classoom! 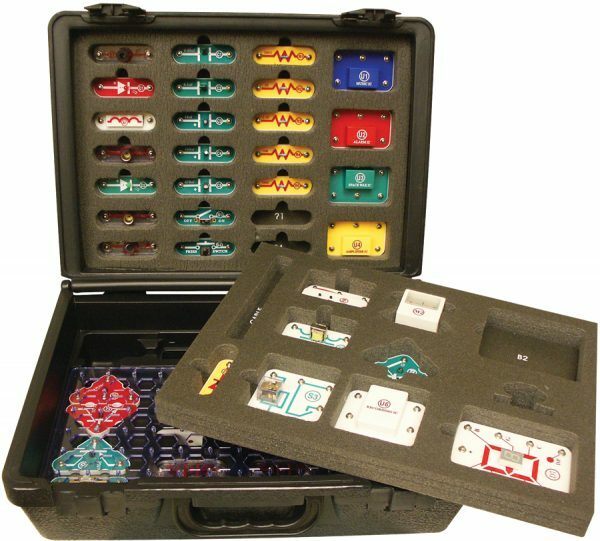 Snap Circuits Pro 500 Experiments Electronics Training Program – Includes 500 Snap Together Projects; Student and Teacher Guides and Custom Heavy-Duty Storage Case. No soldering required. SC500R Snap Circuits Pro SC500R – Perfect for the Classoom! 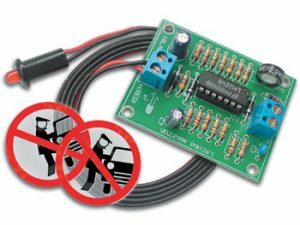 Snap Circuits 500 Experiments Electronics Training Program – Includes 500 Snap Together Projects; Student and Teacher Guides and Custom Heavy-Duty Storage Case. 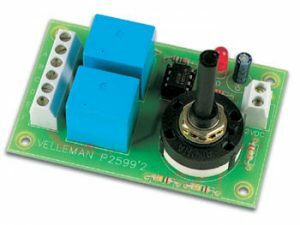 Contains over 75 modular snap-together parts that will allow students to build over 500 projects in electronics. 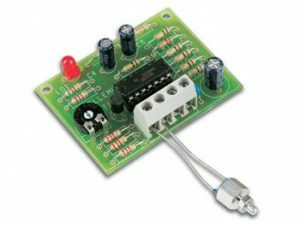 The full-color project book will make it a snap to construct projects related to transformer; relays; 7-segment LED displays; transistors and diodes. 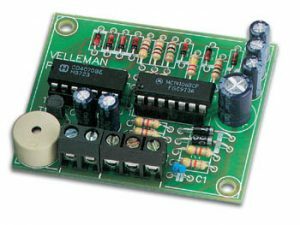 Also learn series/parallel circuits; AM/FM radios ; resistance and capacitance. 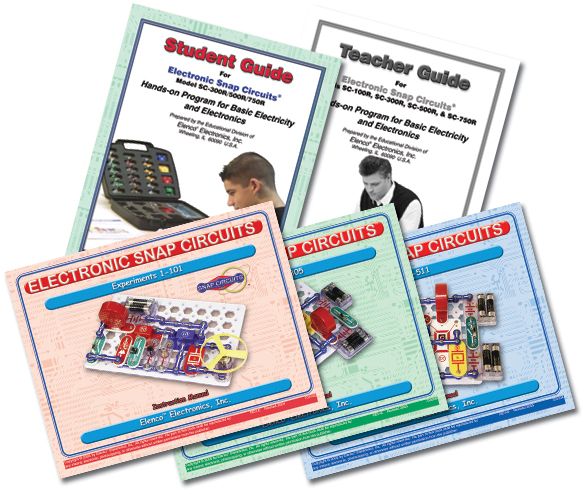 The SC-500 Student Guide for the SC-500R includes 112 pages of educational curriculum. Written with the help of educators; Includes real world applications and problem solving quizzes.